Power Logic PLB05010S12H-3 55mm 4 Pin fan for Nvidia 9800GT GTS240 video cards. Connector 4 Pin. Part Number PLB05010S12H-3. Mounting hole 39 mm x 39 mm x 39 mm distance. Powerlogic PLD06010B12HH for ATi HD4850 V5800 V5900 V7800 Video Card. Manufacturer Power Logic. Power Logic PLA09215S12H for NVidia EVGA GT740 SC GTX 750Ti SC video card, this is the 2 Pin fan used on the EVGA GT740 and GTX 750Ti with short PCB that would fix in ITX computer case, this will not fit EVGA GT740 FTW which uses 75mm PLA08015S12HH 2 Pin fan. Powerlogic PLA09215D12H for Powercolor Radeon HD7850 HD7870 HD7870 Myst edition Video Cards. Manufacturer Power Logic. 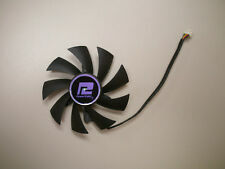 Power Logic PLD05010S12HH fan for ATI HD6450 Video Card. Model PLD05010S12HH. Part Number PLD05010S12HH. Mounting holes 32 mm x 32 mm x 32 mm (1. ). It will hurt us a lot. 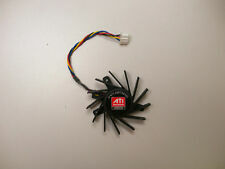 87mm (3⅜") 3 Pin Fan, Part No. Power Logic PLD09210S12HH for NVidia Gigabyte video card. Manufacturer Power Logic. Connector 3 pin. 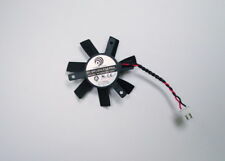 This is a NEW Power Logic PL80D12M 80mm x 25mm 12V DC Brushless Cooling Fan with PC Power Connectors. This fan has 11" (approx.). This Fan itself has 2 Wires: Red ( 12V positive) and Black (Ground). 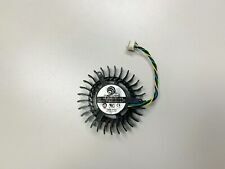 This is a NEW Power Logic PL80D12M 80mm x 25mm 12V DC Brushless Cooling Fan with PC Power Connectors aswell as 8 screws for installation. This fan has 11" (approx.). This Fan itself has 2 Wires: Red ( 12V positive) and Black (Ground). Manufacturer Power Logic. Current 0.35A. Powerlogic PLD10010S12M for Gigabyte N550 640 650 video card, this is compatible with Everflow T129215SM 3 Pin fan. Manufacturer Power Logic. Connector 3 pin. Model PLD10010S12HH. Part Number PLD10010S12HH. Connector 6 Pin. 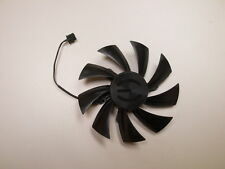 Power Logic PLD05010B12H fan for ATI Video Card. Model PLD05010B12H. Part Number PLD05010B12H. Connector 2 Pin. Mounting holes 39 mm x 39 mm x 39 mm distance. 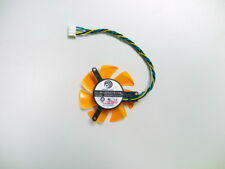 Power Logic PLD06010S12H 55mm 2 Pin VGA fan for ATi Nvidia video card. Model PLD06010S12H. Part Number PLD06010S12H. Connector 2 Pin. Hole Distance 47mm x 47mm x 47mm (1⅞ in x 1⅞ in x 1⅞ in). Manufacturer Power Logic. Connector 4 Pin. Power Logic PLD06010S12L 55mm 2 Pin VGA fan for ATi Nvidia video card, compatible with Everflow T126010DM and YOUNG LIN DFC601012L. Model PLD06010S12L. Part Number PLD06010S12L.